Mmabatho Montsho is an actress, filmmaker and fashion designer from South Africa. She is an enterprising individual who had worked hard to create a name for herself in the whirlwind world of South African entertainment. She is also said to be dating someone who a lot of ladies are particularly interested in, the man dubbed the People’s bae. The actress and filmmaker was born on October 19, 1983, in Soweto, Johannesburg. She comes from a family of six and went on to attend Greenside High School. After school, however, she went into fashion, launching her own fashion label which she dubbed Black Olive Designs. She did this in collaboration with a high school friend and they both began designing and selling clothes. Mmabatho Montsho later went on to further her education at the University of South Africa (UNISA). She opted for an audiovisual multimedia course. Finally, in the year 2006, her acting career began when she appeared as a guest actress on SABC 1’s A Place Called Home. She was also a part of e.tv’s Rhythm City in 2007. A more thorough perusal of her activities shows that she is indeed passionate about the arts. She plays the saxophone and has taken part in dance theatre and visual art. She has also been nominated for awards as an actress some of which include; the Style Award and one of Cosmopolitan’s Awesome Women of 2007. In 2010, she was appointed as one of Ekurhuleni’s ambassadors. Prior to that in April 2009, she replaced Anel Alexander, Masello Motana and Eloise Cupido as the sole host of the SABC2 arts and culture magazine show Artcha, from the third season on. SABC then went on to show their continued interest in her when she became part of the cast of SABC1 reality series Play Your Part as a co-presenter (with Katleho Sinivasan) of the second season in 2012. In 2017, Mmabatho Montsho was also one of the judges on the SABC3 reality competition series The Final Cut, in which contestants faced weekly dramatic challenges in order to win one of two parts on SABC drama series. 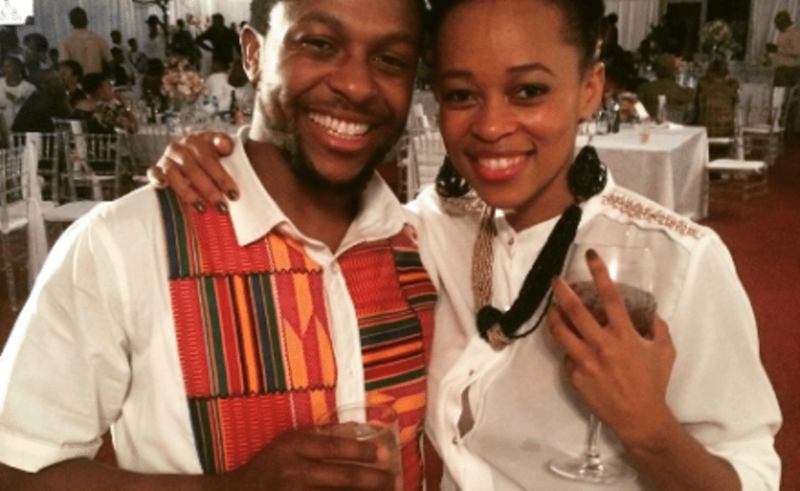 It is finally confirmed, EFF spokesman Mbuyiseni Ndlozi popularly known as ‘The People’s Bae’ and actress Mmabatho Montsho are entangled in a whirlwind romance. Tittle-tattles about the alleged romance first came to light in August last year, but these rumours did not hold much water as the duo never officially confirmed the speculations about their romance. However, unfolding events points towards the fact that the ladies who have an eye for ‘The People’s Bae’ are in for a major disappointment as for first time since their whirlwind romance came into the spotlight, it appears we have some sort of confirmation to back up the claims. Following several months of a widespread speculation that they were an item, the two lovebirds have been spotted together, rocking the same outfit. Pictures of the EFF’s spokesman Mbuyiseni Ndlozi and former Generations actress Mmabatho Montsho clad in matching outfits surfaced on social media on Friday afternoon. The beautiful smiles on their faces tell it all, they are apparently happy together. The love life of the young and handsome politician who has captured the hearts of many ladies first made the headlines when it was featured on Drum magazine that the former Generations actress had apparently captured the heart of ‘The People’s Bae’. This assumption was later confirmed by Mbuyiseni as he said he is a man in love but has kept the identity of the lady who captured his heart a secret, jealously guarded against the prying eyes of the public. Surely, a lot of his female fans including myself *winks* are heartbroken over Mbuyiseni being taken as he has caught a lot of female attention since he joined the EFF as its spokesperson at a very young age.